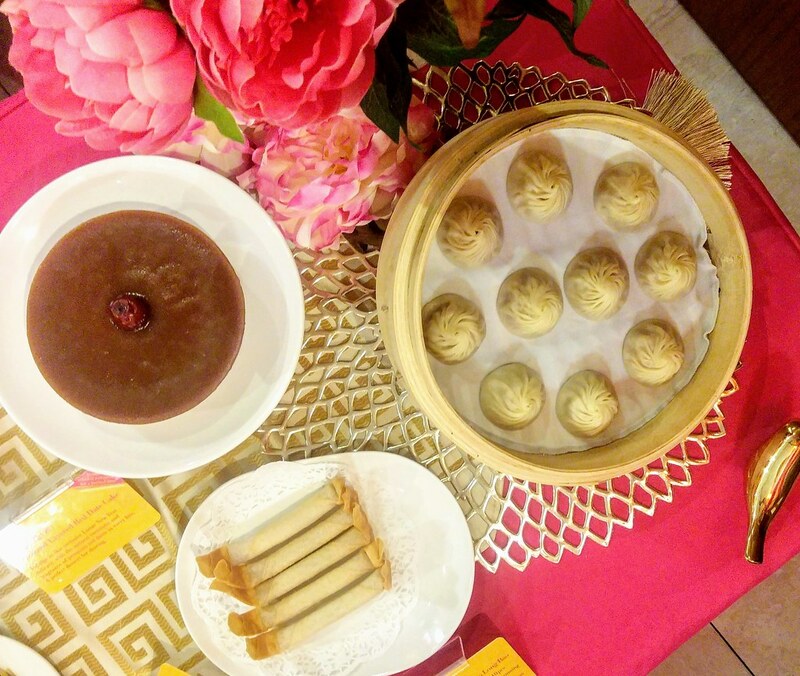 A visit to Din Tai Fung will be more than just a regular affair during this Lunar New Year period. Over at Paragon, be sure to order some exclusive dishes not available at any other outlets. 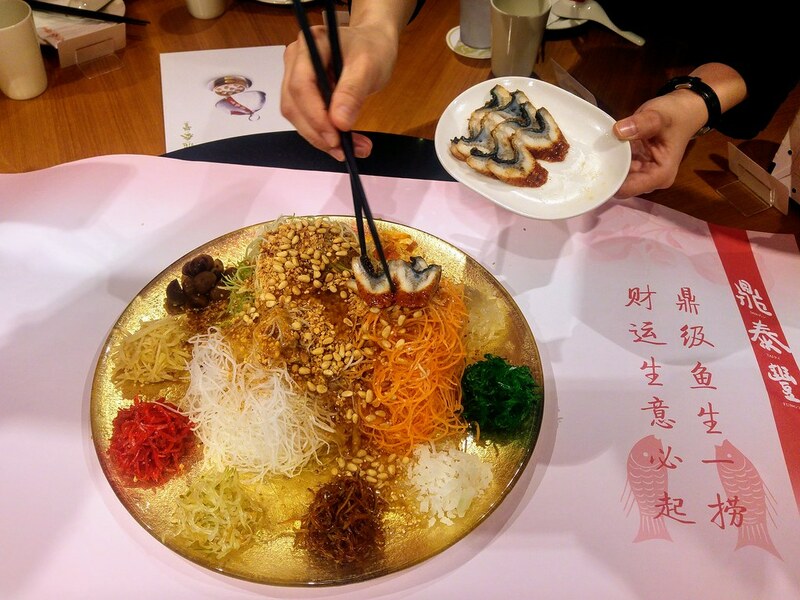 Usher in the Year of the Earth Pig with their Signature Prosperity Smoked Salmon Yu Sheng ($26.80/$39.80). Other than the usual refreshing radish, carrot and piquant condiments, replacing the golden pillows is a heap of crispy yam strips for that quintessential crunch. This is definitely more satisfying in my opinion. I like the additional fragrance from the fried yam strip lingering in my mouth. Topped with smoked salmon and drizzled with house-made plum sauce, the combination of savoury and sweet is favourable, especially if you ain't a fan of raw fish. 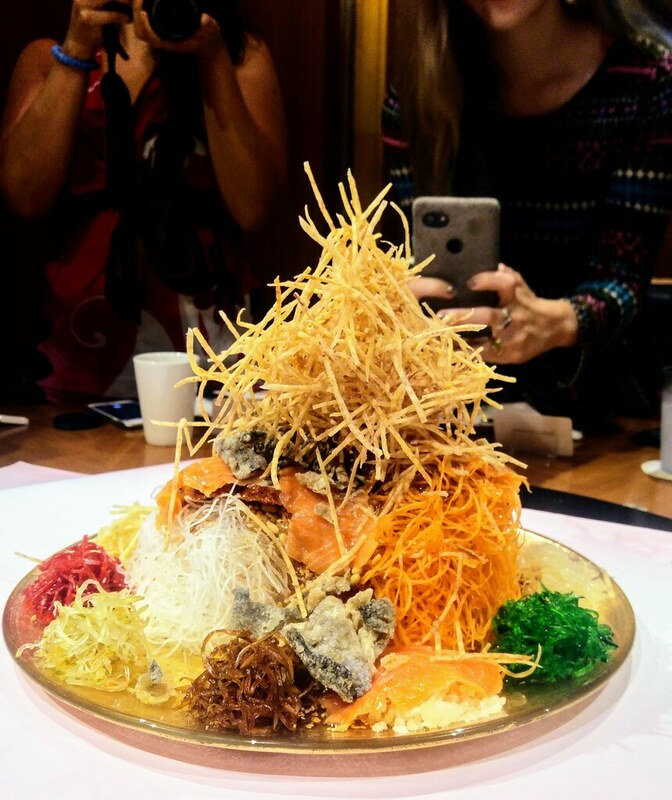 You can even top up to make your Yu Sheng even more extravagant, including less commonly served Smoked Unagi ($9.80/serving), Fried Salmon Skin ($4.80/serving). Vegetarian option is available too, and you can top up for an additional serving of Crispy Yam Strips ($3.80) or Pine Nuts ($2.80) for a boost of fragrance and crunch. Start off your meal with other auspicious items such as the Yam Paste in Crispy Strips ($6.60). If you already has a liking towards their yam paste dumplings, this will not disappoint either, especially when it is a fried item! I guess our love for salted egg yolk is going to be a long lasting affair, especially when there are always good renditions around us. 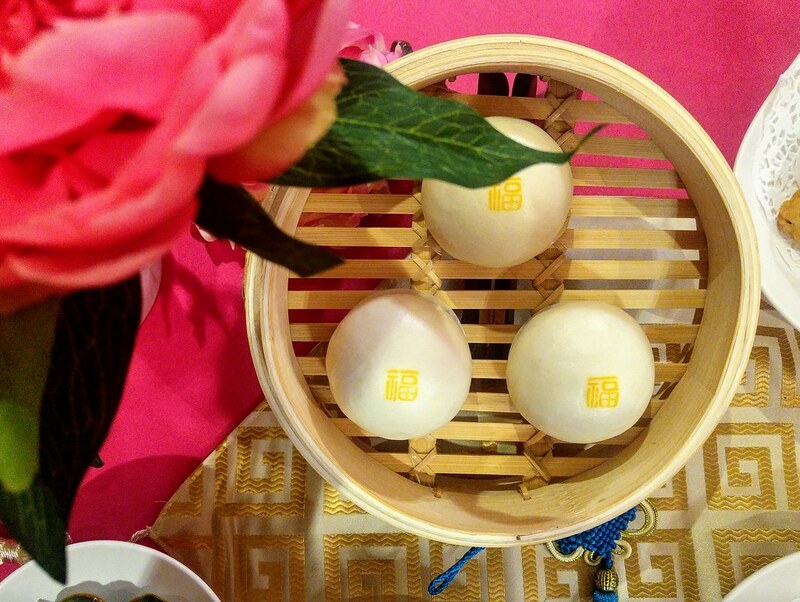 Be it as a starter or a dessert, this savoury-sweet Steamed Custard Bun ($2 each) with hot golden lava oozing out will get your appetite going for sure. Isn't the little golden ‘福‘ character adorable? 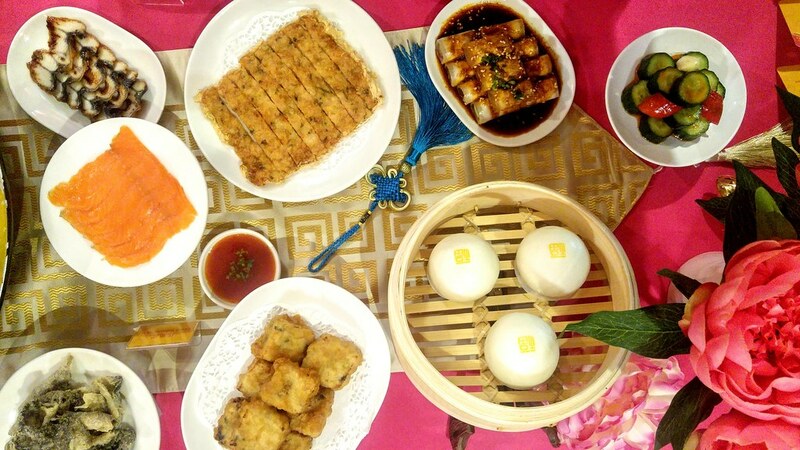 Deep fried Handmade Tofu with Water Chestnut and Mushrooms is Paragon exclusive too. 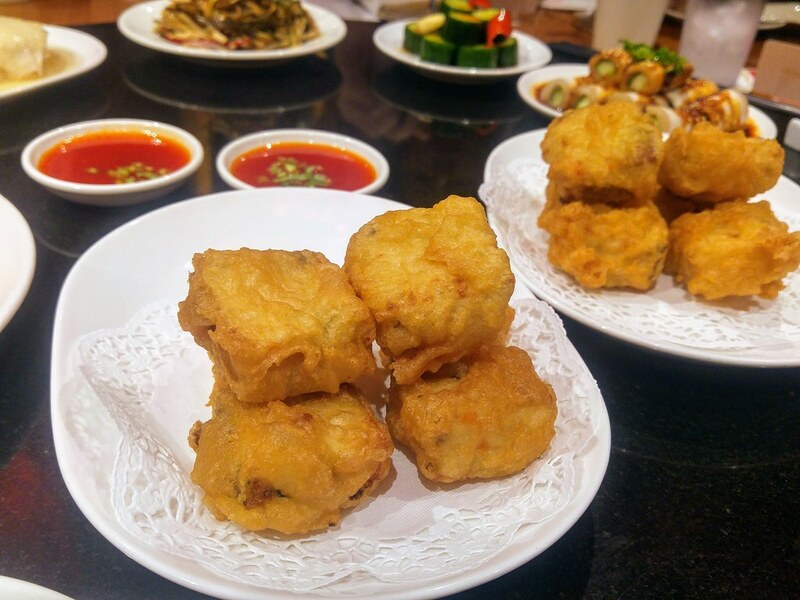 Deep fried till golden brown, the interior is moist with crunchy water chestnut bits. 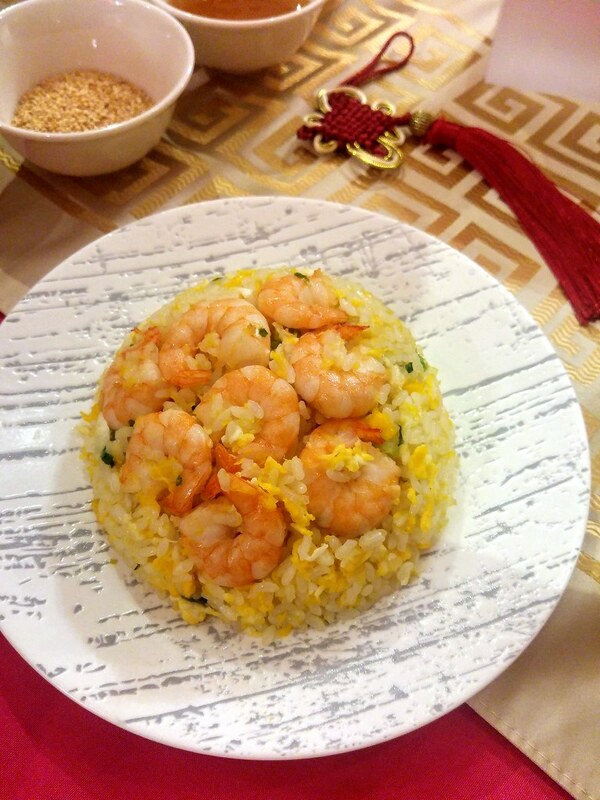 A regular dish but apt for the festive period is the Fried Rice with Shrimps and Egg. 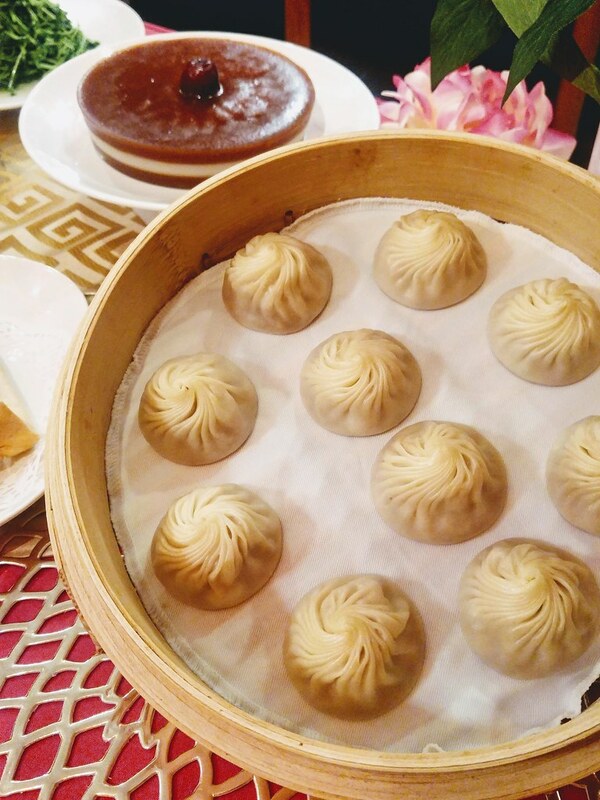 And if Xiao Long Bao is too much of a daily affair, go for the Truffle & Pork Xiao Long Bao then. 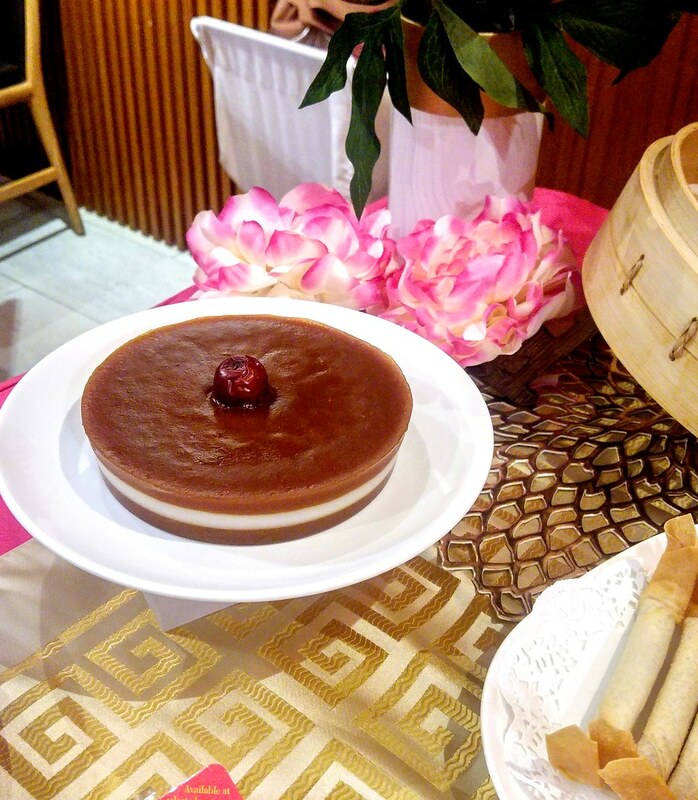 Round off your meal with their Steamed Layered Red Date Cake. This is actually a Niao Gao and definitely one of the better ones I had. The red date flavour is pronounced but not too sweet with the original flavour sandwiched in between. 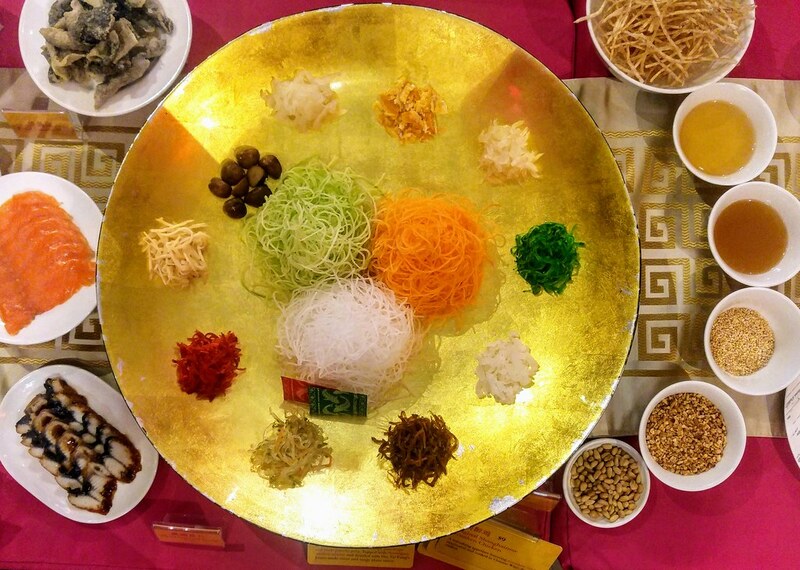 While the exclusive dishes will be available all year round, the Yu Sheng will only be available from 11 Jan to 19 February 2019.